Paul’s situation is unfortunately a common one. Mishaps in the bedroom, often times negligence and in many cases even deceit lead to unwanted pregnancies and tough decisions. Decisions that are made by the woman, whose body this life will grow inside for 9 months. What about later though, when the child is born and there is a baby in the world who’s life will depend on both the mother and father? There is something that is slightly unbalanced about the fact that a man has no say in a decision that will ultimately affect his life. Thousands of men every year in America are incarcerated because of outstanding child support bills. If a man's freedom is at stake, as well as his financial well being, then should he be able to make the decision as to weather or not to accept paternity of a child that he does not want? Many men have tried and failed on those same grounds. The prevailing view is that the woman's 14th Amendment Substantive Due Process right to privacy in her own body trumps the man's say in the matter as to whether the kid is born or not. If somebody made a good enough argument though, that could possibly be overturned. I think if its going to have legs then some state legislature is going to have to step up to be the first one to put it on the books that a man has rights as to child birth. If more states follow suit, then it may be enough to change the rule of law on the 14th amendment. 1 out of every 4 pregnancies in America is unwanted. One might say that this statistic is the cause for many of the problems facing youth in this country. Particularly black youth. Unwanted pregnancies lead to unwanted children who aren’t being taken care of and mothers who only kept them because of the child support money and food stamps. But what if that child support wasn’t guaranteed. 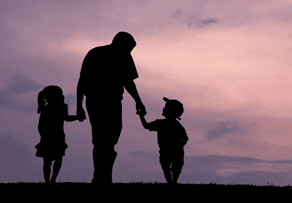 What if it was contingent upon the father’s consent to accept fatherhood? Yes. I don't think it is possible nor necessarily desirable that the man have any sort of formal legal say as to whether the child is born or not. And I say that as one who is pro-life. A man who is married to or has impregnated a woman that is also pro-life or at least is very interested or influenced by the man's POV is about as much as we can hope for on the limited question of whether the child is born or not. If you have impregnated a woman who has decided for good reasons or bad that she no longer gives a flying f*** what your opinion is on the matter then you are just out of luck. I do think that we should examine the possibility of why is the man not currently allowed to unilaterally terminate his paternal rights. Logically it makes sense. I would think a man who did such a thing would be doing something that is not right or downright disgusting by my moral standards but I already feel that way about most abortions. The problem is that in one instance we have given the woman a post-conception choice and argued that she shouldn't be limited by biology while in the other we have removed any man's post-conception choice and argued that for him biology is indeed destiny. That doesn't quite seem fair. The usual surface counterargument is that "fairness" is not as important to society as ensuring that children have financial support from their father and that the burden for these children not be placed on the state but of course the underlying issue is that most people (pro-life or not, feminist or not) have a special scorn for a man who denies or seeks to terminate/avoid paternal responsibilities while not getting quite as morally outraged by a woman who does the same. The counter to that counterargument is that if women knew that they could neither rely on the state or a man that wasn't stable or committed then they'd make better choices in reproduction. The rebuttal to that is that this is already the condition in some areas and people with few resources and no plans are STILL running around making babies. Such decisions are not based solely or even primarily on finances and sober planning and never have been and it is ridiculous to pretend that they ever would be. It’s like while women have fought for decade’s, even centuries for equal rights with men in the workplace, men are fighting a similar battle for rights in domestic matters. In the three-way relationship of a mother-child-father, the father is the only one who CANNOT terminate his parental duties. When a man is forced or willingly put into the child support system in most states he becomes criminalized from the very beginning. They send a letter to the father’s job saying that a certain portion of his paycheck must be sent to the state to satisfy his obligations to his child. First of all this type of intrusiveness should never be allowed. A man’s job should not have to know that he pays child support. The father from time to time will receive intimidating letters stating that he must take time off from work to appear in court in order to solidify matters associated with the support agreement. Failure to appear in court will result in a bench warrant being issued. At any time the mother can request that he come back to court to raise the support amount, resulting in more time off from work and more money out of his pocket. Yeah, I think there's an equal protection claim to be made because the laws here are not being administered equally between men and women. The laws allow women to choose at points 1, 2, 3, and 4 but the man only gets to choose at point 1. Yeah... make the father pay so the state doesn't have too. I'm sure some smart lawyer out there will find the right argument to make at the right time and place in our history. An argument around the right of the father to have some say trumping the "rights of the state"
Maybe even an equal protection 14th amendment argument. Where is the equal protection for the father? If nothing else, it can 'adjust' the definition to take into consideration the money a father spends on the child above and beyond child support, make the mother report the use of the money to make sure (as close to sure as can be) that the money is being used for the child (not for the mother's Lexus - as in the case of my family), make sure there aren't multiple men paying for the same child, and make sure that the father has some say in the child's life with recourse from the courts if he doesn't. There are ways to protect the public’s interest and still provide some sort of equal rights to the father. The question is of course, should the father have any rights at all? The whole issue in and of itself represents a basic and essential demise of the family structure, here in America. It is a microcosm of a bigger problem lingering within our society which emerges from these types of issues that 30 years ago was almost unheard of. It speaks to how low society's morals are these days and how cheap life has become, when it can be created and taken away with such ease. At the end of the day the child is who ends up suffering the most. Our society is raising a generation of angry, unwanted and uncared for children who are quickly becoming America’s worst nightmare. If you don’t believe me watch the 4th season of The Wire which portrays the issue perfectly. Whether or not the father's rights in these matters are important to you is irrelevant when you consider the child’s role in this tragic drama. Should there be legislation passed to give a potential father the right to forfeit his paternity? Does this issue present implications to our society as a whole?